The fourth edition of Object- Oriented Systems Analysis and Design has been revised and updated to reflect the most up-to-date approaches to information systems development. Still a best-seller in its field, Bennett's, McRobb's and Farmer's text remains a key teaching resource for Systems Analysis and Design courses at both undergraduate and postgraduate level. The book provides a clear, practical framework for development that uses all the major techniques from UML 2.2. It follows an iterative and incremental approach based on the industry-standard Unified Process, placing systems analysis and design in the context of the whole systems lifestyle. Structured in four parts, the first provides the background to information systems analysis and design and to object-orientation. The second part focuses on the activities of requirements gathering and systems analysis, as well as the basic notation of UML. Part three covers the activities of systems architecture and design, and UML notation for object design, and the book concludes with the implementation of systems and the issues of how the systems life cycle is organized and how reusable components can be developed. 1 Information Systems-What Are They? Simon Bennett is a Systems Architect in the Corporate IT department of Celesio AG. He was previously at Ericsson Intracom, and prior to that a Principal Lecturer in the department of Information Systems at De Montfort University. 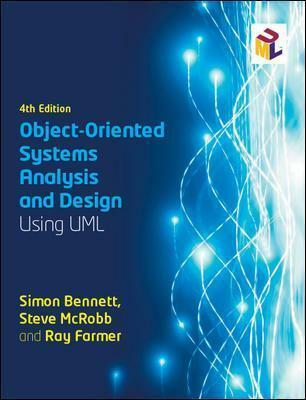 He is one of the authors of Schaums Outline of UML 2nd edition, published by McGraw-Hill. Ray Farmer is an Associate Dean in the Faculty of Engineering and Computing at Coventry University. His major research interests are in information systems analysis and design, and in particular, object technology. He has wide experience as a consultant on object-oriented analysis and design. Steve McRobb is a Senior Lecturer in the Faculty of Computing Sciences and Engineering at De Montfort University, Leicester. His main research interests are currently online privacy and the re-documentation of legacy systems in UML. He was previously Principal Administration Officer at the Yorkshire Dales National Park, responsible for the organisations IT strategy.